Eligible time you worked for CCSF that is covered for SFERS membership, but were not a member of the Retirement System. 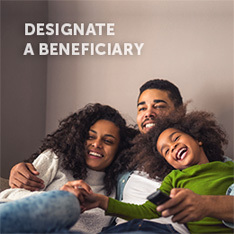 If you do purchase this service, the retirement benefit that you receive for it is based on Miscellaneous Plan benefit provisions. The cost of purchasing the service credit is the contributions you would have made had you been a member of SFERS at the rate in effect at the time the service was rendered, plus interest. Current SFERS members may elect to redeposit contributions previously withdrawn from SFERS for periods of prior membership (safety members are required to redeposit contributions for periods of prior safety service). Periods you were on unpaid parental leave status with CCSF prior to July 1, 2003, provided that you returned to work for CCSF for at least six months immediately after the expiration data of your unpaid parental leave. Time you worked for the federal government (non-military), the State of California, or other public agency in California prior to SFERS membership. Service with the armed forces during times of war or conflicts while a member of the retirement plan or, while you are on a San Francisco Civil Service list and reached for certification for a permanent appointment. 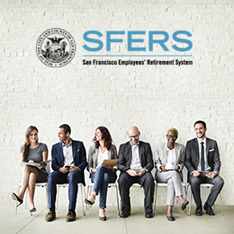 Time you worked as a full-time employee representative for a recognized CCSF employee organization while a member of the retirement plan on leave of absence from your normal CCSF position. 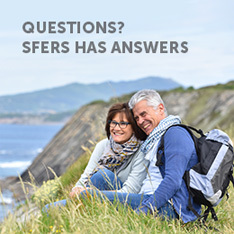 Purchasable service is presented under “Summary of SFERS Service Purchase Opportunities” on your Annual Member Statement that is mailed to you in August each year. To initiate a pre-tax agreement to purchase Prior or Redeposited Plan Service, log in to mySFERS and select the “Service Purchase” tab. The years of service available for purchase and the cost to purchase that service will be displayed. An appointment is not required if you are purchasing service by check, tax-deferred rollover, or transfer from another tax-qualified plan. To purchase Unpaid Parental Leave, Public, Military, or Union Representative Service, you will need to verify the service is eligible for purchase. Under the “Service Purchase” tab, select the box for the applicable service type to complete and submit a Service Purchase Request Form. You may purchase service any time prior to your effective retirement date. If you are a miscellaneous member who elected to pay retirement contributions at a reduced rate rather than at the 7.5% or 8.0% base rate, you may have an account shortage. The “missing contributions” is the difference between the actual rate you paid and the set base rate, plus interest. You may repay an account shortage in full, or in part at any time before retirement. If you do not repay all of the shortage, your retirement benefit will be reduced by the actuarial equivalence of the shortage. In the state of California, a public employee’s retirement benefit is regarded as community property and is therefore, considered when property is divided in the event of marital/domestic partnership dissolution (divorce). If you divorce before retirement, under community property laws, a former spouse/domestic partner may be eligible to receive a share of your retirement benefit when you first become eligible for retirement, even if you do not retire. If the Retirement System makes benefit payments to a former spouse/domestic partner before you retire, you will incur an account shortage called a “Gilmore” debt. When you retire, the benefit payments to your former spouse/domestic partner once paid by the Plan on your behalf, will continue from your monthly retirement benefit. To initiate an agreement to repay an account shortage, log in to mySFERS and select the “Service Purchase” tab. An appointment is not required if you are paying an account shortage by check. 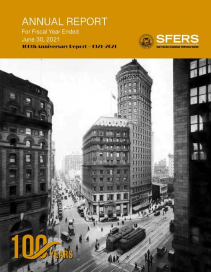 For detailed information regarding service purchases, refer to the SFERS Service Purchase Fact Sheet.